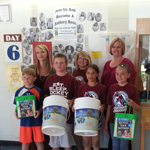 Welcome to the Ontario Schools Battery Recycling Challenge! 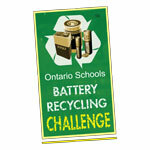 The Ontario Schools Battery Recycling Challenge is for elementary and secondary schools in the province of Ontario. If you want to do something great for the environment and have a chance to win great prizes, you've come to the right place! 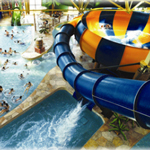 This challenge is brought to you by Raw Materials Company Inc. If you are a student and your school is participating in the Ontario Schools Battery Recycling Challenge, you can register to win some great prizes. Please enter here. 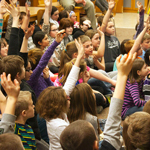 If you are a teacher or work at one of Ontario's elementary or secondary schools, please enter here. Click here to see the full OSBRC Leaderboards!